Seventh Convocation of Lovely Professional University is scheduled for Monday, 21st November 2016 at 10 am. 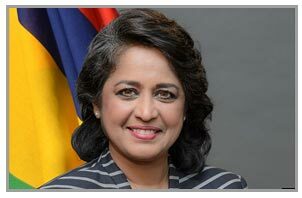 Her Excellency President of the Republic of Mauritius Dr. (Mrs.) Ameenah Gurib Fakim will be the Chief Guest at the Convocation. President Dr Gurib-Fakim will honour PhDs, gold medalists and toppers of various LPU academic programs and deliver the Convocation Address. Degrees and diplomas will also be awarded to 13,000 Distance Education students for the class of 2016 (June Examination). World renowned biodiversity scientist, Her Excellency is the first ever woman to hold the title of the President of Mauritius. Before becoming the Grand Commander of the Order of the Star and Key of the Indian Ocean due to her present post, she was Professor and Chair in Organic chemistry at the University of Mauritius. She is also the recipient of various national & international awards including the L'Oréal-UNESCO Award for Women in Science (2007), Laureate for the National Economic and Social Council (2007), and the African Union Award for Women in Science. She was awarded the Order of the ‘Chevalier de l’ Ordre des Palmes Academiques’ by the Government of France in 2009. We are protecting our phone with Official Link For Kodi with the help of which the phone is best protected than any other app and Download Link for this App help us to root our phone if we want to make things extra simple and customizable. choose one of the best Mutual Fund for SIP. check the top 10 Mutual Funds List from here. Know the complete details about UPTU exam. For more details about UPTU exam click below link. Get the complete information about Kerala engineering entrance or Kerala medical entrance exam. Click here to know Star Health Insurance Online Payment and How to pay Star Health Insurance online. Click here for more information about silver rate/price in mumbai. I appreciate your writting skills. Buy Best Branded Refrigerator/Fridge Online check reviews and price in India.for more information click on the below link. UNIVERSAL INSTITUTE OF DESIGN – UID SURAT is providing Best Fashion Designing Course in Surat Universal Institute of Design is providing B.Sc, Diploma and Degree College Classes in Interior Desinging Course.